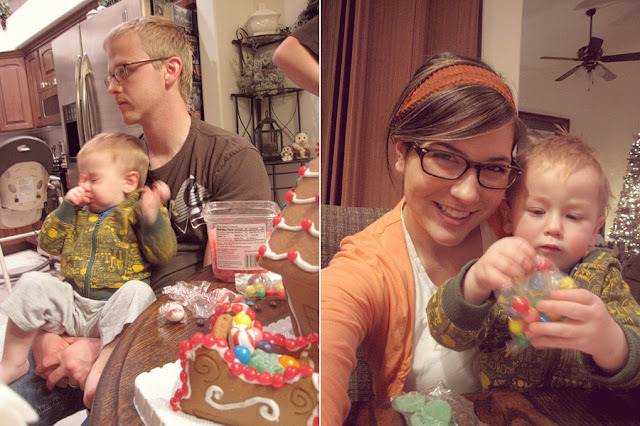 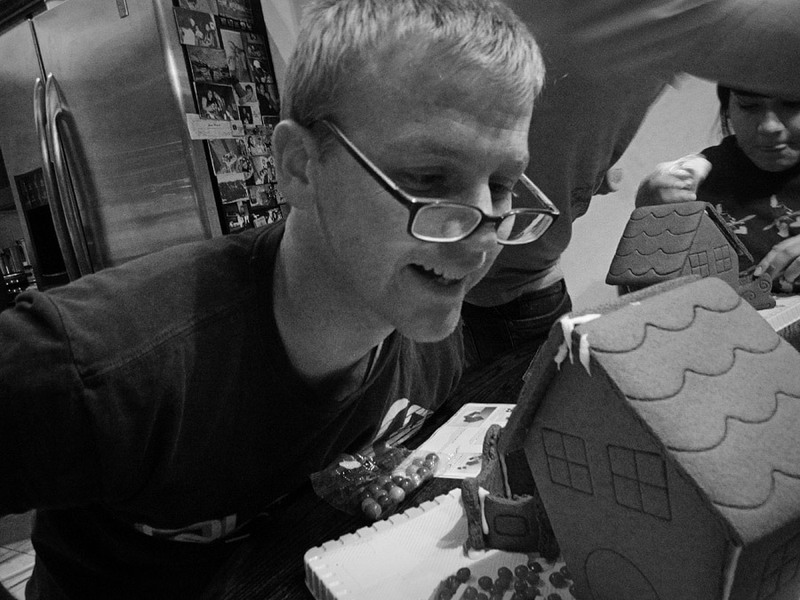 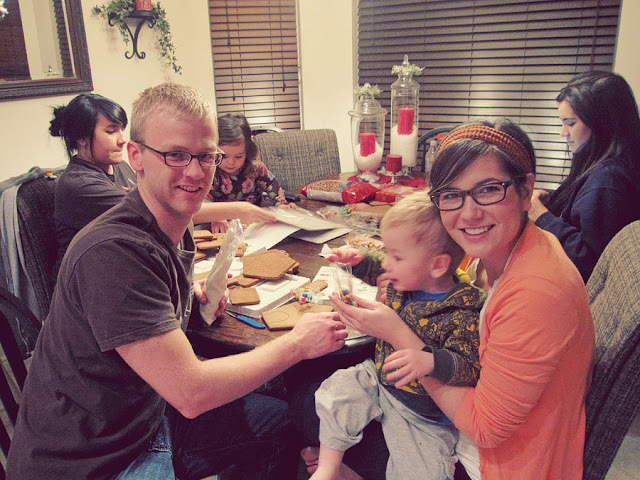 One night we went up to my mom’s and made some AMAZING gingerbread houses! 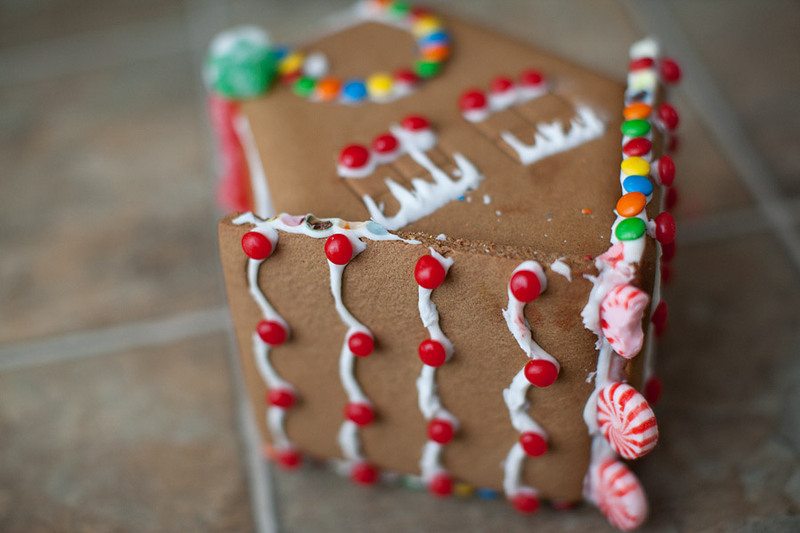 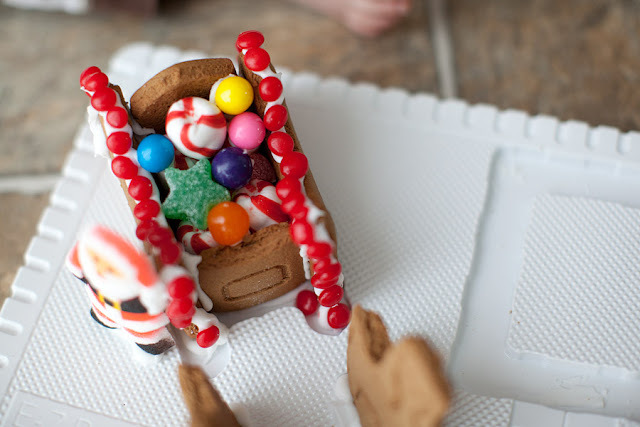 I love decorating gingerbread houses so much. 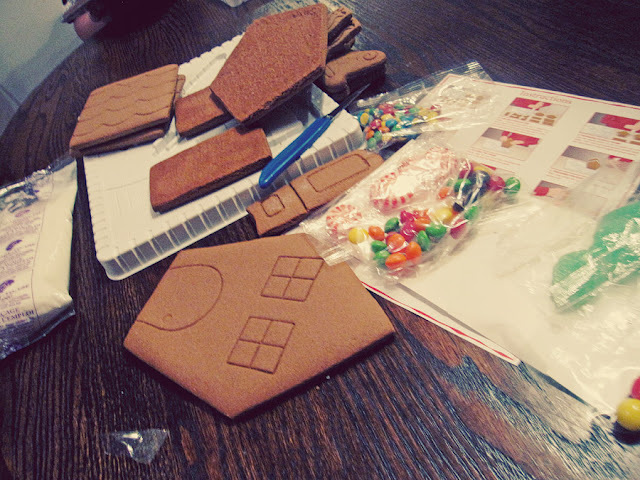 I kind of take over the whole project and give Brett specific directions on what to decorate and how! 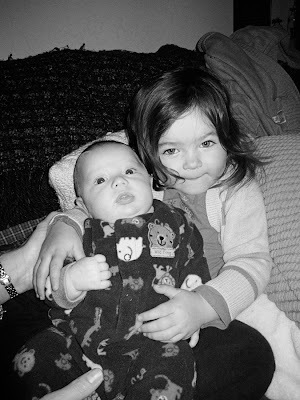 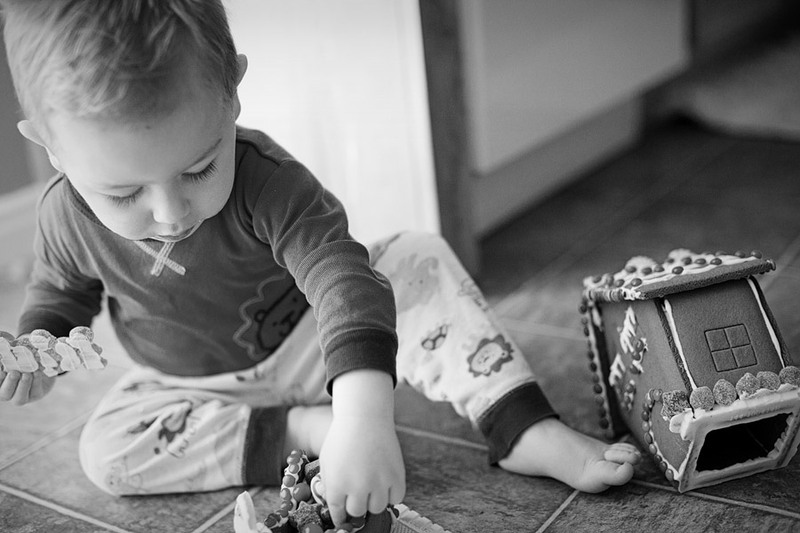 A little bossy I know, but it turned out perfect. 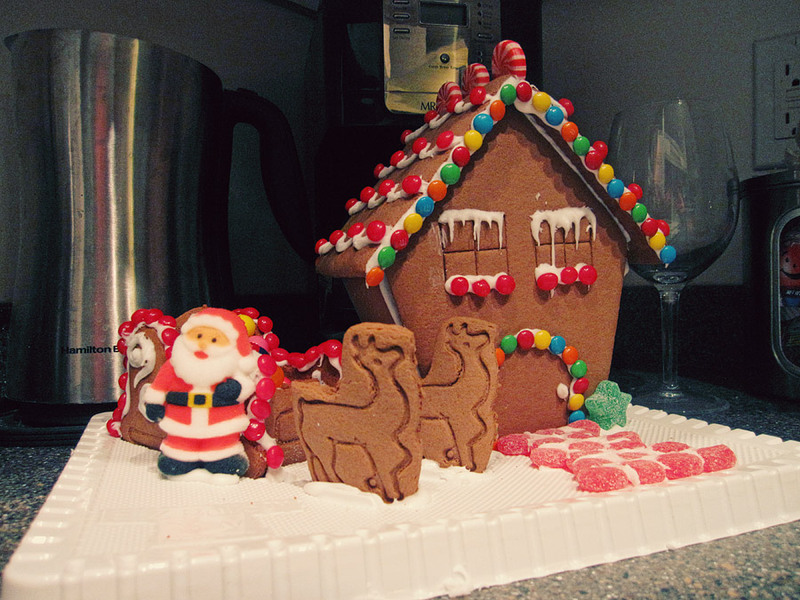 I’m not going to lie I was pretty proud of mine. 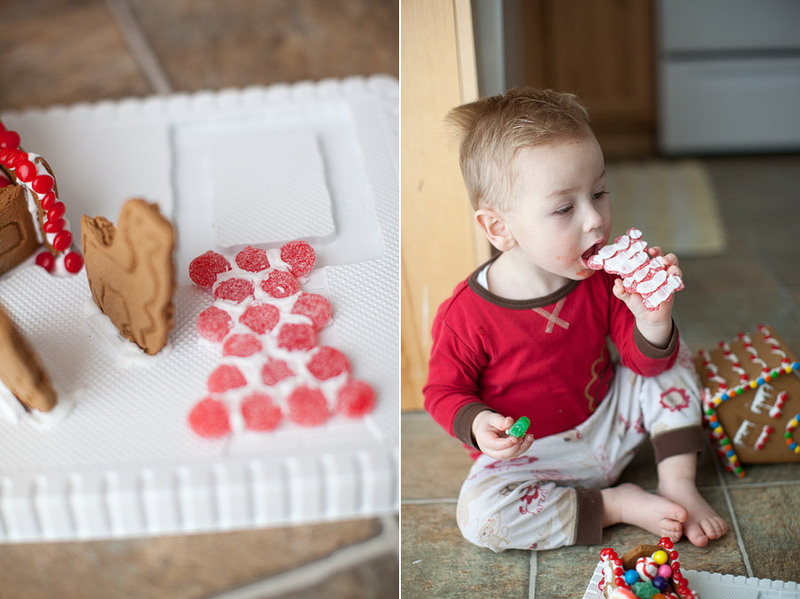 I left it at my mom’s so it could dry but was excited to bring it home the next day so I could take fancy, pretty pictures of it. 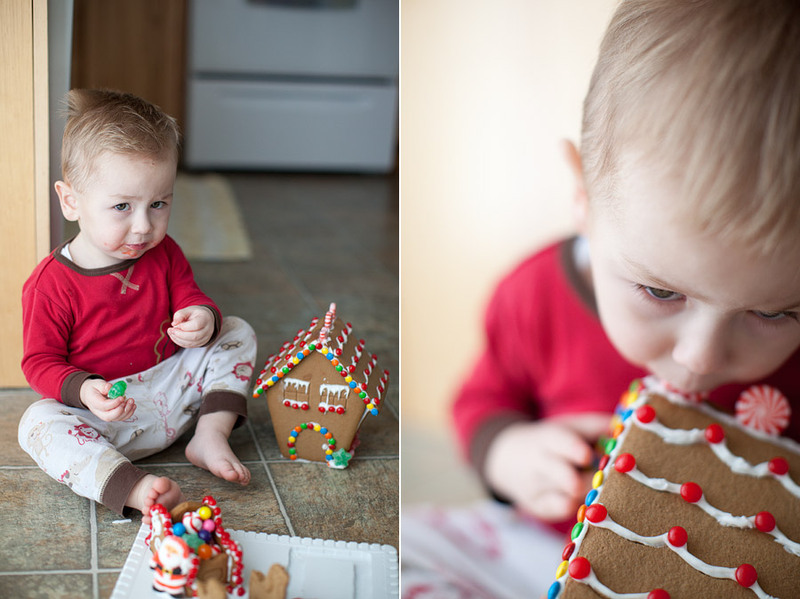 BUT, Oliver got to it before I could. 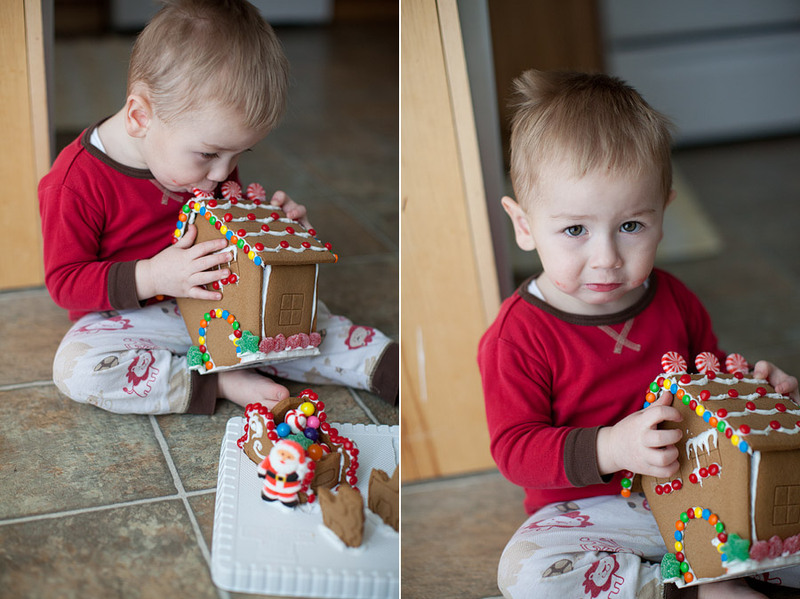 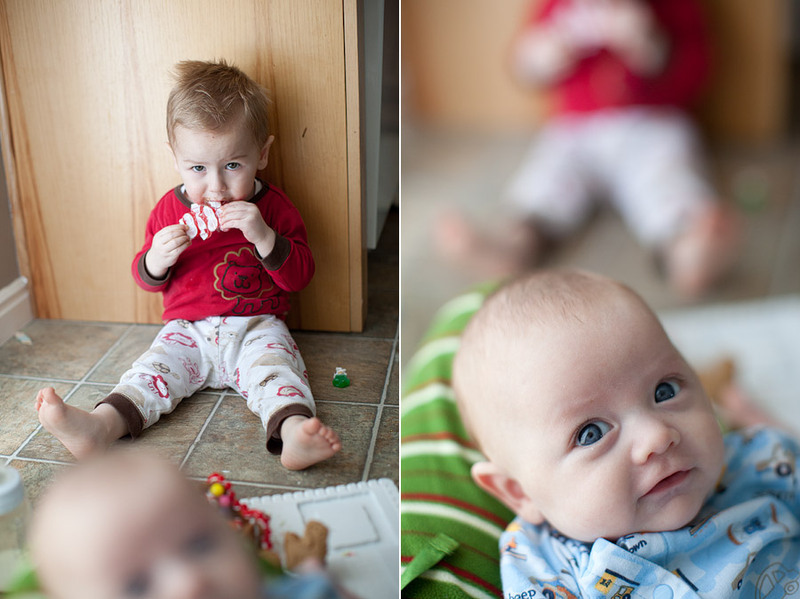 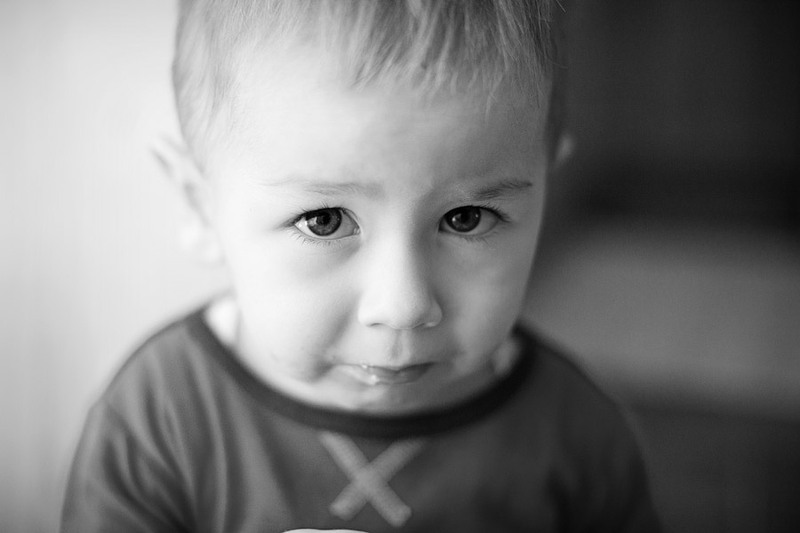 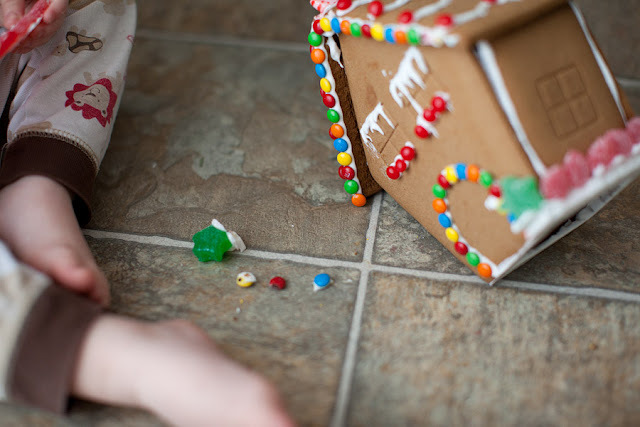 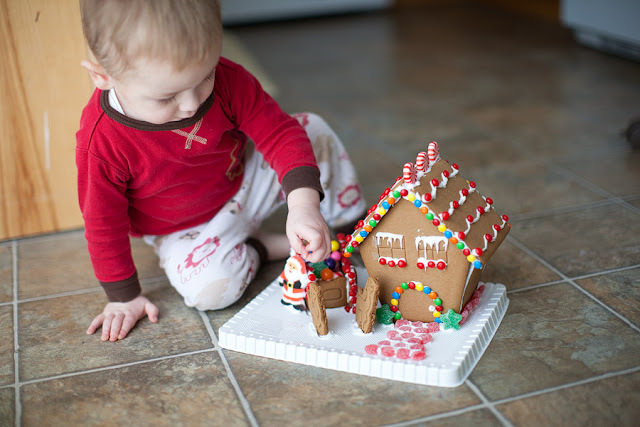 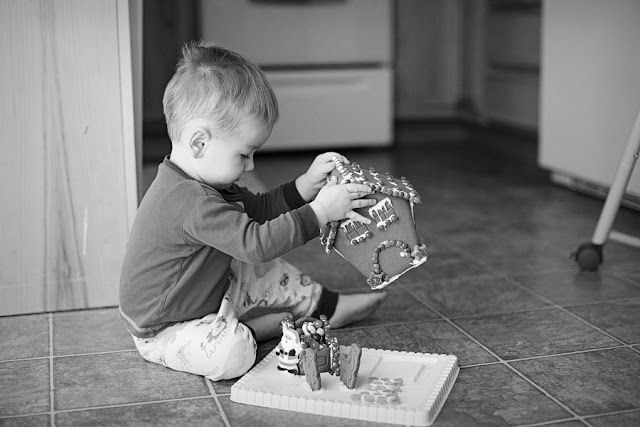 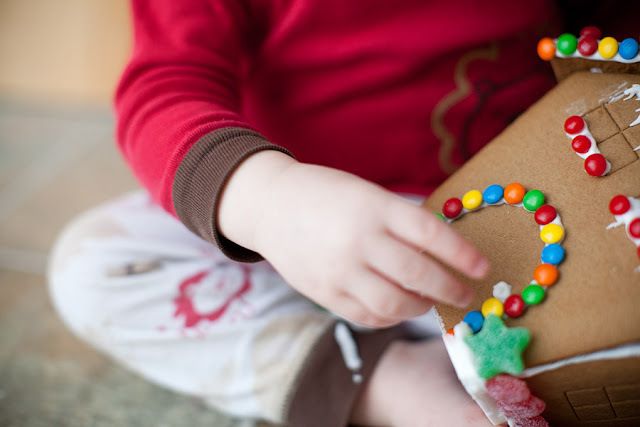 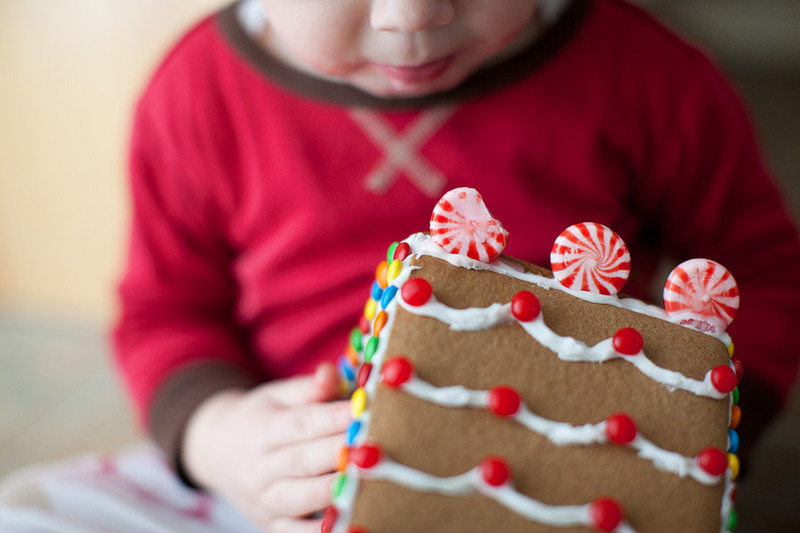 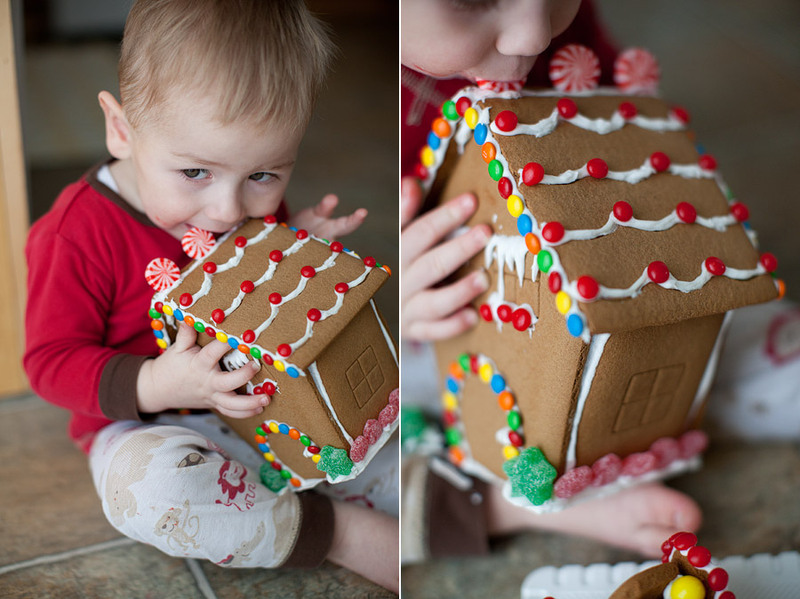 So I got pretty pictures of him destroying my gingerbread house.